Recently I shared some thoughts on what guides the projects I prepare for my private students, and specifically on the Extended Technique Ladder they completed early this winter. Initially, my intent was to do just one project for the remainder of the school year. 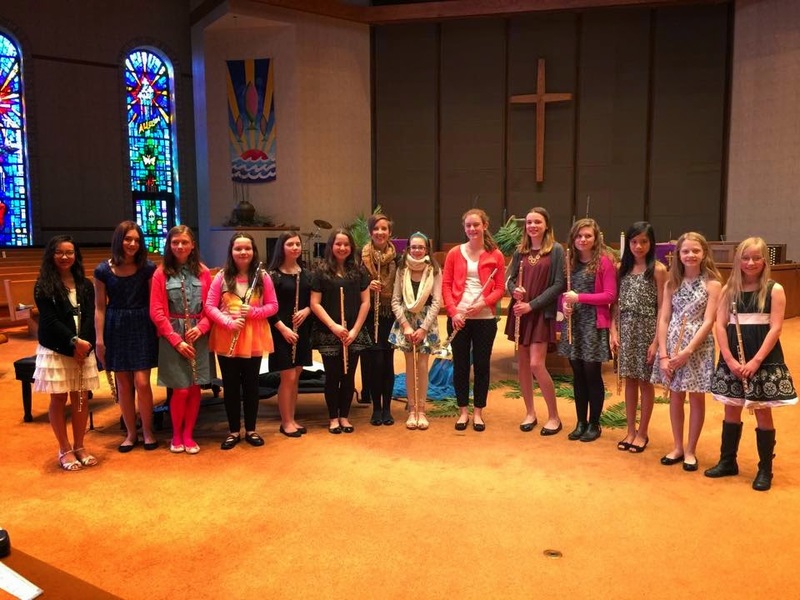 However, as we prepared for the spring studio recital (and through my own recent practice process), I realized that there never feels like there is enough time to discuss musicianship with my students. We spend so much time on fundamental development, which is absolutely necessary, that we frequently neglect to find the time to discuss phrasing and musicality on a regular basis. I decided to challenge myself to make it fit into our preparation for the next recital. This is an expansive topic, and I knew if I wanted to introduce it succinctly and clearly that I would need to break it down and begin with the facts. We spent two weeks using worksheets to learn the “basics.” First, what a phrase is and how to find it, and second, what clues composers write that show us what to bring out in a phrase. The possibilities for covering this are almost endless, and I was very careful to cover the same base of information with each student before branching off into their pieces or topics that were brought up by questions the students had. After introducing the more factual side of the process, we started to have some fun with the idea of musicality. Now that the students understood what they were looking for from the music and composer, we were able to discuss and add in what they personally felt about their pieces. Starting by exploring the way we assign emotions to music even if it doesn’t have words, we explored practical ways to share our feelings through the music we prepare and perform. Did the piece the student was preparing sound happy, sad, mysterious, or maybe a mixture of emotions? How did they think their flute should sound to display those emotions? Once the conversation was started, I used two of my favorite techniques that I've learned from my teachers and colleagues and adapted for my own teaching. First, we used a technique that is loved by my teacher Katherine Borst Jones and considered what their piece would be about if it were a story. What kind of character would it be about? Is it set in a particular place or time? 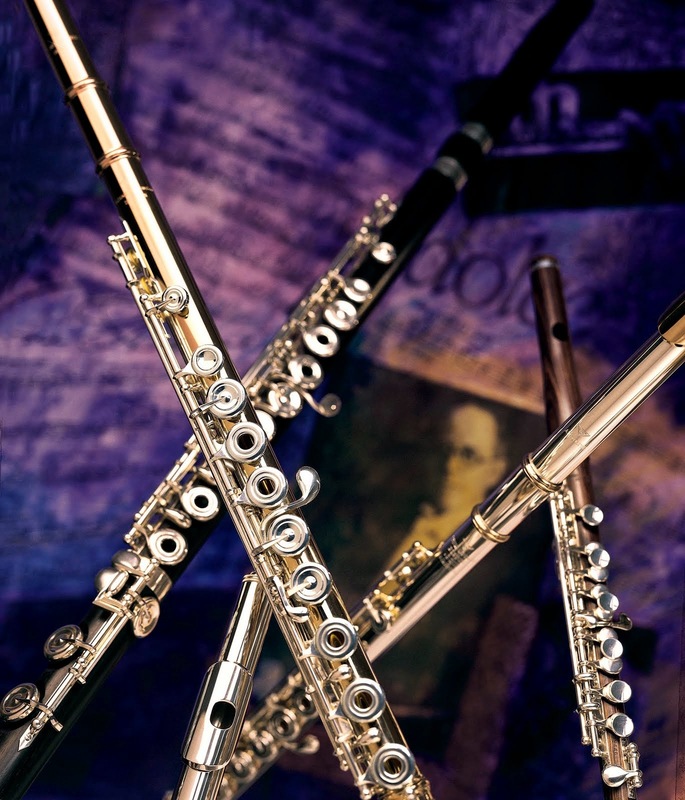 How does the plot develop as the piece goes on, and how does our flute playing need to change to make sure we hear that? The second technique we employed has developed as something I do with my students from a project that was introduced to me by Nicole Molumby, who now teaches at Boise State, while she was completing her doctorate at Ohio State during my undergraduate studies. For this part of the exercise, we combine the technique of assigning a color to our sound (something that is familiar to many flutists) with assigning color to the piece we are preparing. My students imagined their piece if it were a piece of art. What color would it be? Would it be opaque or transparent? Would there be shapes or shading? How would you make your flute sound match those colors? I wanted to be sure to share all this work with my students’ parents, so we took the final portion of our expression project and displayed it at the spring studio recital. Each student “colored” the piece they were performing using all the information they had gathered and collected over the course of the project. 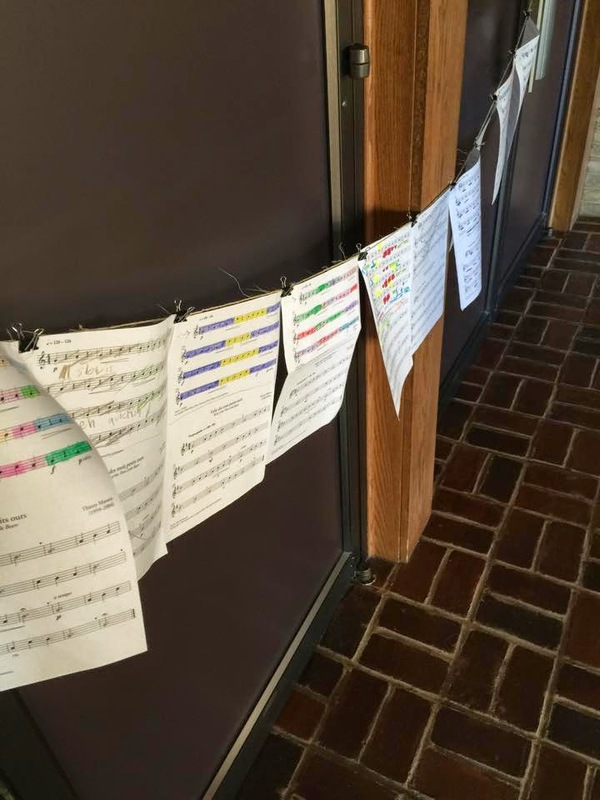 I hung the colored version of the pieces outside the recital space so that parents could see them before and after the recital, allowing them to gather some insight into the performances they heard that day. For fun, I also provided a very simple piece that even my newest students could play. Everyone interpreted these through color as well, and I displayed them together showing how differently everyone hears the same music. As with any project I do with my students, the work is never conclusive. This part of my teaching is meant to provide resources and information, and to start an ongoing discussion of the topic at hand. Making a special focus of the topic engages my students and gets them excited to learn something that is new, and sometimes very unusual!